Hello, I’m Frederick and I’m here from Martinique doing an internship. This post will speak about my top 5 places to go in Bournemouth. Everyone has their own preferences but these are my suggestions and recommendations on Bournemouth Must-sees and Must-dos. Firstly I want to share with you my impression of this country. Once I arrived in this town I saw a lot of differences compared to the place where I am from. I s noticed that people don’t look at you with a negative face, by this I mean each person can have different lifestyle and people will leave you be. Also the difference with the transport and the kind and polite services they can offer you. For example I enjoy saying “Hello” and “Cheers” to a bus driver. These are little things that sometimes we don’t pay attention to where I am from, but it may make you have a better day. 1. 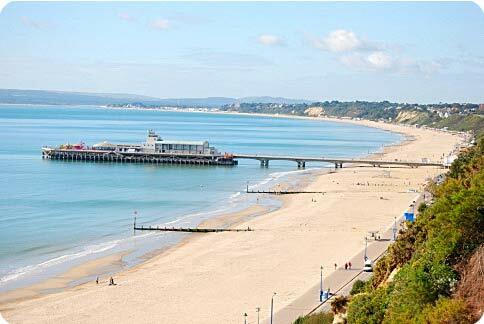 I have to put Bournemouth beach as the first top place to go in Bournemouth. I have been here the most during my stay in Bournemouth and think it’s a beautiful place to go to when you’re in the summer season, as we are now. You can enjoy the sun, hear the beautiful sound of seagulls, buy an ice cream, play games in the arcade or zip line down the beach – there’s plenty you can do! I went there since it is a long coastline, so you can easily find a place to chill and spend a good moment for free. 2. 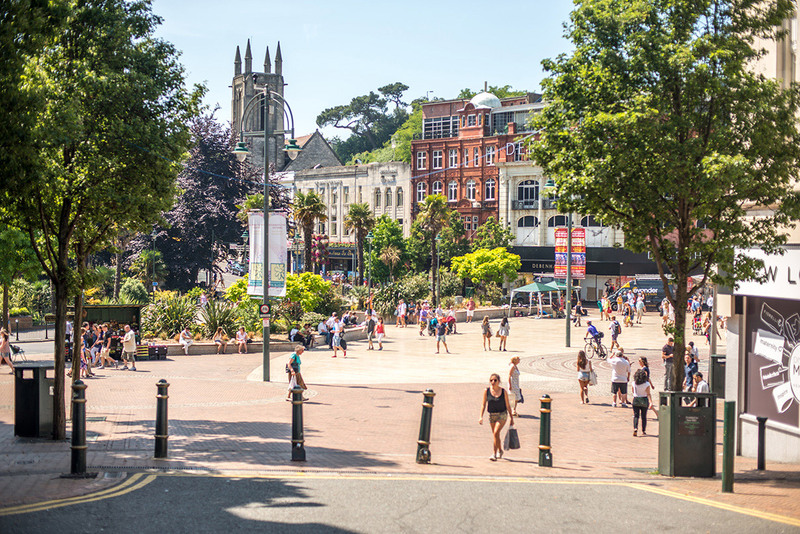 Bournemouth Square: The Square is another way to refer to the town centre. This is the spot where you will not feel alone in this town anymore. In this place you have a lot of shops and places to eat, where you can go shopping or get some food with your friends. Oh you don’t want to eat? Then there are a lot of pubs to refresh yourself with a nice cold beer. In addition, in the square you have a great garden where you can play football, eat your food or just sit and chill in the garden. It’s truly a lovely place. 3. Bournemouth has a popular Club to go to if you love clubbing/ partying. It’s called Cameo. In my opinion, this is an amazing club. It’s easy to get to because it is located in the town centre so every young person knows where it is. Their staff is also always advertising the club nights in town so you always know what is on. If you want to go clubbing trust me go to this place! 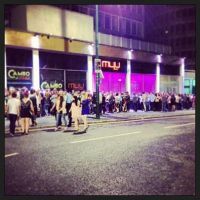 There are 5 rooms of different genres of music and it’s free entry (for men or women) before 11pm. Plus, the place is safe with good security staff so do not worry about safety but you still have to be vigilant and behave responsibly. You’ll probably be surprised to find they have more drinks and cocktails than you expected. 4. 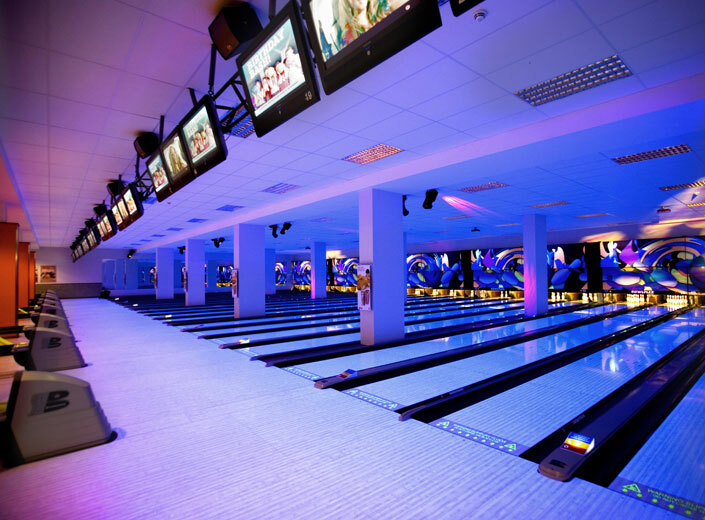 Bowlplex: Enjoy bowling? Enjoy getting together with friends and having a laugh over friendly competition? Then this is the place for you. Although it is located outside the town centre it is still easy to get to and will only take you around 10 mins to get there. You can take the bus from Bournemouth Square heading to Poole in order to get to ‘Bowlplex’. When I went bowling with my friends, each of us paid 11 pounds for 2 games and you get a free menu with cheeseburger, chips and a drink included in the price. It’s a good place to go and an easy way to have fun with your friends for a low price. 5. Last but not least on the Bournemouth beach, there is an Oceanarium you can visit for £8.35. They have a variety of fish and a fantastic atmosphere. 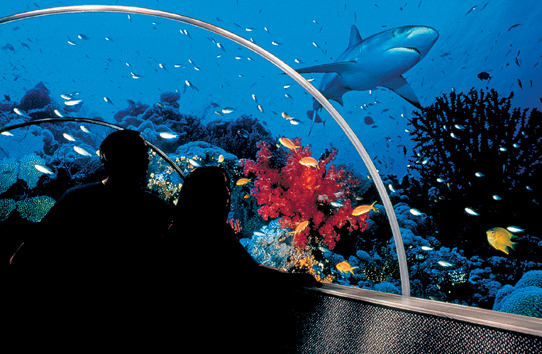 Once you step into the Oceanarium you feel like you’ve dived into some underwater world. You can also see staff feeding the fish including the sharks and turtles, just ask for feeding times. They’ve recently welcomed 10 penguins at the Bournemouth Oceanarium so if you’re a fan of ‘Happy Feet’, then this is probably a must for you now. By worldchoiceeducation in Asesoramiento estudiantil, Student Advice, The UK on July 9, 2015 .